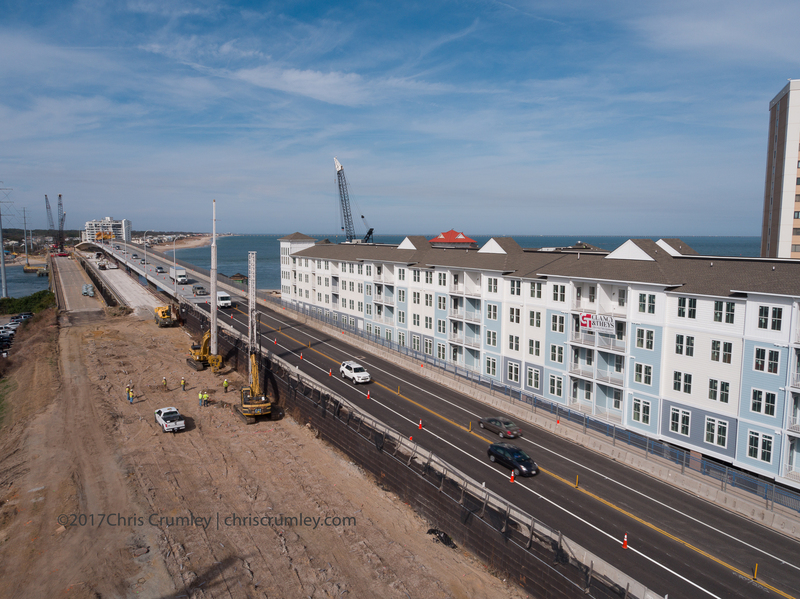 New and old Lesner Bridge spans over Lynnhaven Inlet, aerials from drone takeoff/landing from parking area near the seafood restaurants on the east side of bridges. Clancy&Theys Construction company signage on the new senior building. -- in Virginia Beach, Virginia.